Looking for an easy way to clean your pool in an effective manner that would not only save money but efforts as well? 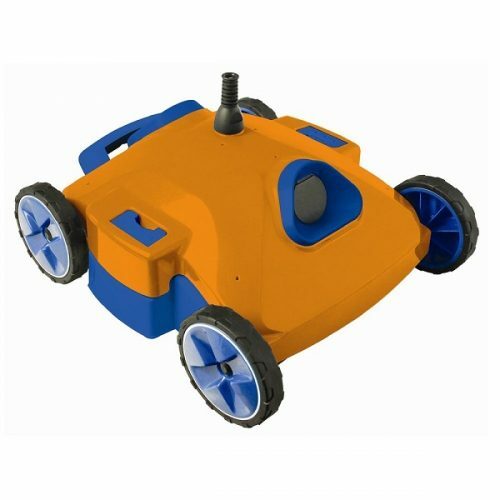 Then you got to love the Blue Wave NE328F Aquafirst robotic pool cleaner that has been designed to work with both the in ground and ground above pools. 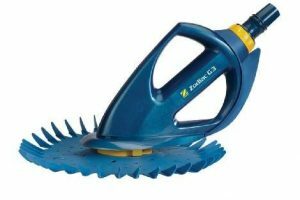 This Blue Wave NE3285F comes laden with great functions, such as its strong motor and double filtration bag which ensure that your pool floor would be cleaned within a few minutes without any hindrances. The wide slip and slide free wheels allow the rover to easily clean all type of surfaces within the time span of an hour. Whether it is dirt, leftovers, bacteria or small debris- don’t worry about getting it cleaned out as with this Blue Wave cleaner, nothing is impossible to be not filtered out of your pool. Be it a party that you’re planning or just a wonderful retreat for self, the Blue Wave NE3285F is just what you need to get the pool clean and ready for some fun. 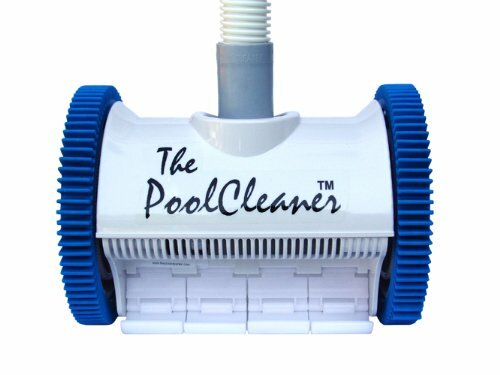 Unfortunately, I have had terrible experiences with my pas pool cleaners that cost me a hell lot of money as compared to this pool cleaner’s cost. After much recommendations and research of my own, I got this Blue Wave Pool cleaner and tried it out for my fiberglass water pool in the backyard. The result was a flawlessly cleaned pool within 100 minutes of operation and that’s when things changed. So I have a large pool and have been using this pool cleaner for almost 4 months now. The cable seemed to be short for my pool but it surprisingly not only reached every corner, but was able to clean far better than my previous cleaners. It can climb up without slipping and delivers high on performance. It does seem a bit of an issue for my large pool that the whole area can’t be covered in a single cycle but as far as the efficiency and the effectiveness goes, I am pretty much satisfied with the strong suction motor and appropriately large filtration bags that dispense off heat and debris out of my pool within an hour. So all in all, it happens to be one of the best investments that I have made for my pool this year- affordable and efficient to every last detail. This Blue Wave NE3285F is one of the most economical pool cleaners available in the market. It does not only sport a light and sturdy design, but also delivers quite a perfect cleaning with its smart functionality. Its super suction motor picks up the tiniest as well as the biggest of pieces that others would leave behind. Be it in an in ground pool or above ground pool- this Super Rover delivers without any trouble, always. It has some of the best key features to watch out for, including slip free wheels and double super filtration system that doesn’t leave behind any dirt or debris in your pool. Priced at just 300 bucks, this Super Rover from Blue Wave is an amazingly affordable pool cleaner with unprecedentedly brilliant functions and performance for any other counterpart in its class. 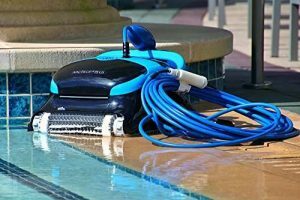 The BlueWave Smart Rover as well as the Hayward SharkVac pool cleaners have been designed to make your pools squeaky clean without having to manually operate throughout the cycle. Both the pool cleaners have strong suction motor and can rule out as well as dispense debris from the pool. The Blue Wave Smart Rover has some pretty big advantages over the Hayward SharkVac because of the slip free wheels that keep it in constant motion. However, the Hayward cleaner is often found to be turned sideways or upside down during operation. Needless to say, the Blue Wave pool cleaner might be small in size but delivers a better all round efficiency and performance. Considering the price of both the pool cleaners, the Hayward RC9740 is way more expensive than the BlueWave pool cleaner, costing more than 500 bucks per model. This Blue Wave Aqua First pool cleaner might be low-profile but it happens to be one of the finest of its class that works amazingly for several types of pools. An automatic dynamo features Linear Jet motor of advanced tech that facilitates great suction and reduces cleaning time. The rover has been programmed to deliver a clean pool within a span of 1-2 hours (medium sized pools). Its highly efficient filtration system has an off the chart performance as it can remove smallest of bacteria as well as large debris from your pool in no time. It is highly energy and power efficient, helping you save money even in operation. As it is suitable for all type of pools as well as floors such as vinyl and fiberglass, it is indeed one of the best choices you can make for cleaning your pool. It has a compact and sturdy design for better cleaning. It has jet water cleaner for better cleaning performance. Powerful motor with strong suction action to dispense chemicals, bacteria and debris. Can clean the pool in a short time of 2 hours. Sports a 40 feet kink free cord for a smooth and better maneuverability. Highly energy efficient power system that allows you to save on bills. Filters at an impressive rate of 80-85 gallons per minute. It is fast and efficient, delivers within 100-120 minutes of operation time. Checks and dispenses chemicals, bacteria, debris- all types of materials from your pool floors without any trouble. Power motor and jet propulsion give high performance and make it easy to use. Sturdy design and slip free wheels ensure durability and efficient cleaning. Doesn’t clean the corners and sides without manual touching. Misses spots if the pool system is still on while cleaning. This Blue Wave NE3285F Aquafirst pool cleaner is a complete package of affordability and great functionalities and offers value for money at its best. Be it any type or any shape, if you are looking for an easy way to get your pool cleaned for the party or your personal rejuvenation, get a Blue Wave NE3285F pool cleaner today and witness how a brilliant piece of engineered tech can cut down on your power bills as well as efforts.